The Boss XL is equipped with Heavy Duty Cast Iron Integrated Powertrain Drive System, travelling at speeds up to 12.5 mph. 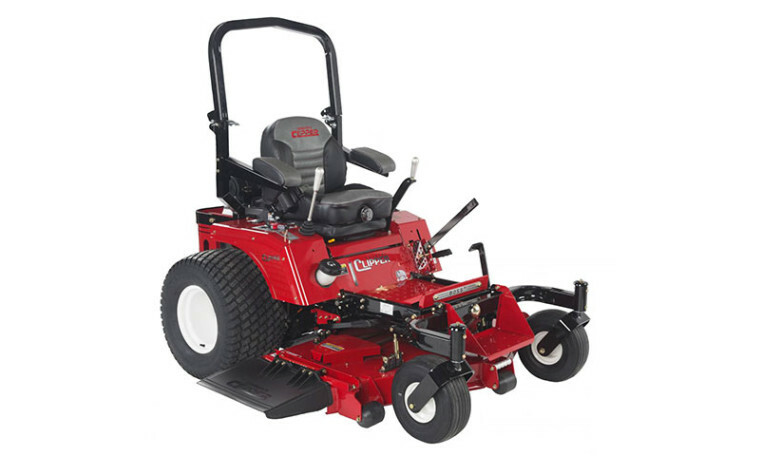 Pair that with 60” and 72” cutting widths, and you will finish your mowing jobs quickly. The Boss XL features the largest rear tires ever used on a zero turn mower and wide rear wheel base. This gives you superior holding on slopes as well as a smoother ride and reduced turf damage. The Boss XL brings you a seat so comfortable, you will feel like you are sitting in your living room. The deluxe suspension seat is mounted on vibration isolators and has 3 inches of adjustable suspension travel. The seat can be customized to your comfort zone with adjustable lumbar support as well as back and seat cushion angles. depending on the model: 60" to 72"
Depending on the model: 21" to 25"